LASAK CadCam bridges and abutments | LASAK Ltd. Benefit from a CAD/CAM system and increase the precision of your implant-supported frameworks. A unique production system of precise superstructures. Direct fixation in dental implants without the use of abutments or other connecting elements. Reduced number of gaps, between the implant and the superstructure, which can be a potential source of bacterial contamination. You do not need to worry about the precise fit of large implant-supported frameworks anymore – precision is guaranteed. You do not have to choose and buy abutments. Emergence profile extending immediately from the implant level. You do not need to change your way of working, to learn new software, or to invest in a scanner. 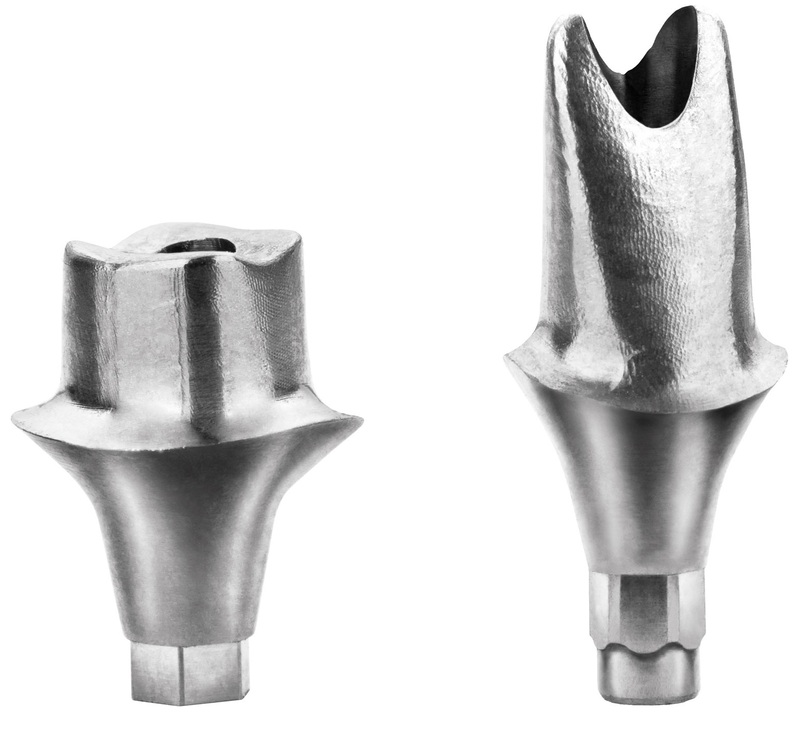 LASAK CadCam technology represents a unique production system of precise frameworks which allow direct fixation in dental implants without the use of abutments or other connecting elements. This reduces the number of gaps, between the implant and the superstructure, which can be a potential source of bacterial contamination. The structure can be made of any common material – titanium, Co-Cr, ZrO2. Using the latest available technology and certified materials allows us to achieve structural homogeneity and high precision even in large bridges (e.g. 14 units). Emergence profiles may expand immediately from the implant level, meeting demanding esthetic requirements. The screw-retained design allows the direct fixation of bridges in implants and allows easy revision of a prosthetic replacement or implant, if necessary. Outstanding biocompatibility (used for surgical implants) and mechanical properties. Thermal expansion coefficient (25–500 °C) 10.1 ±0.25.10-6K-1. Composition: Ti 86.9 %; Nb 6.5–7.5 %; Al 5.5–6.5 %; complies with ISO 5832-11 and ASTM F 1195-011. Thermal expansion coefficient (25–500 °C) 10.0 ±0.5.10-6K-1, ceramics for fusion, e.g. : VITA VM 9, GC Initial Zr; density = 6.05 kg.m-3; flexural strength (4 p.b.) 1200±200 MPa. Composition: ZrO2+ HfO2+Y2O399 % (Y2O34.5–5.4 %, HfO2<5 %);Al2O3<0,5 %; other oxides <0.5 %. Thermal expansion coefficient (25–500 °C) 14.3 µm/m.K; hardness (Vickers): approx. 380 HV10; melting range: 1270–1345 °C; density: 8.3 g/cm³. Composition: Co 61.1 %; Cr 32.0 %; Mo 5.5 %; Si 0.7 %; Mn 0.7 %; alloy without content of nickel and beryllium, complies with EN ISO 9693.